We stay at a lot of hotels each year. In fact in 2018, we spent over 90 nights in a hotel room. And while we might be the exception among travelers, sometimes we travel simply to stay in a new hip or luxurious hotel and resorts. We call it our hotel bucket list. And 2018 was a big year for that list. We crossed off several hotels and resorts that had been on our hotel bucket list including the Fairmont Banff Springs, Andaz Costa Rica Resort at Peninsula Papagayo, Four Seasons Resort Scottsdale, Waldorf Astoria Park City and those are just a few. So what hotel tops our list in 2018? Surprisingly, it’s a new comer to the luxury hotel market. The Park Hyatt St. Kitts opened in November of 2017. And it changed the luxury hotel market in St. Kitts and for that matter the entire Caribbean. This luxury resort brought true five star accommodations and service to the Caribbean. We stayed at the Park Hyatt St. Kitts this past September for our wedding anniversary. And we were just in awe at the true beauty of this resort. And the service was truly incredible. We felt like the staff was part of our family by the time we left. And trust us, four nights at this resort was just simply not enough. The rooms were spacious and modern yet luxurious. And many of the rooms have incredible views of the beautiful Caribbean waters and Nevis. The food is something you’d find in a high end restaurant in New York City. The pools are beautiful and relaxing. The fitness center and spa are immaculate. We could go on and on (see our complete review of the resort). Needless to say we picture ourselves visiting the Park Hyatt St. Kitts frequently in the future. 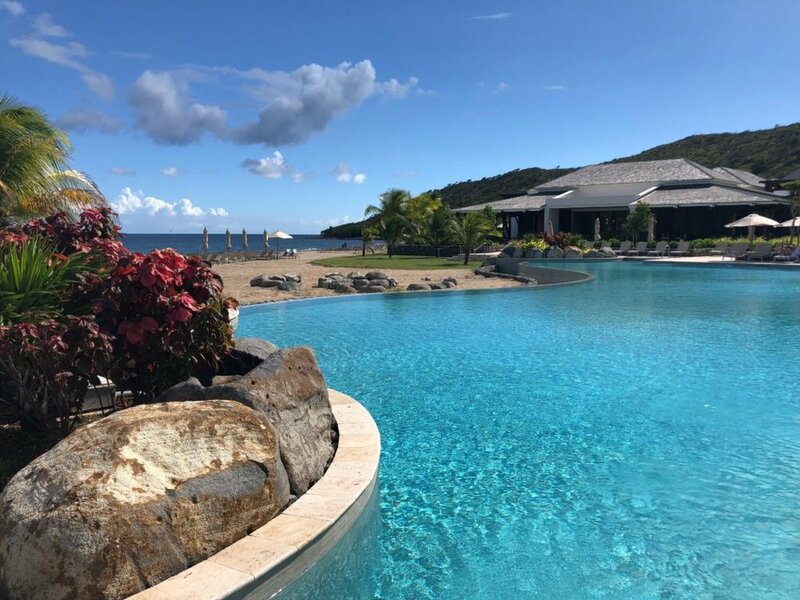 And out of those 90 plus nights we spent in hotels and resorts in 2018. the Park Hyatt St. Kitts takes the top spot of our favorite hotel and resort this past year. And we can’t wait to return. 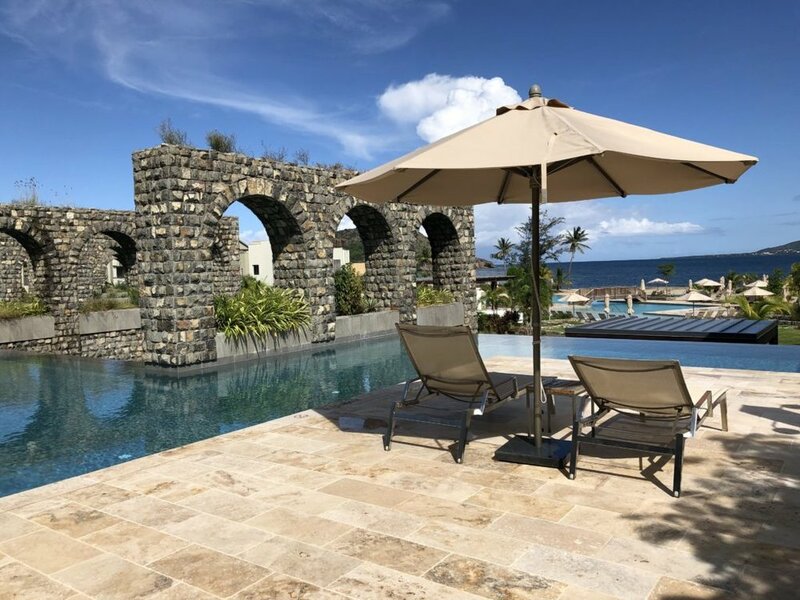 And don’t forget, when you book the Park Hyatt St. Kitts with Virtual Travel Gurus, you’ll receive complimentary extras like a confirmed room upgrade at booking, breakfast for two each day and you can take advantage of special promotions like the 4th night free and an extra $300 resort credit. For more information or to check rates, just call us at 1-888-743-8533 or email Booking@VirtualTravelGurus.com.